Welcome to the freedom of working for yourself with a company whose core vales are: Integrity, Trust and Respect. 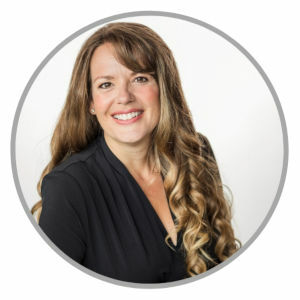 As a Norwex Independent Sales Consultant, I am committed to changing the world, one home at a time by providing safe, non-toxic, environmentally-friendly products. If this rings true for you, take a moment to read on and see what Norwex has to offer. I have seen countless time that a consultant who has a lot of products to demonstrate experiences success right away. It is much easier to sell these ‘hands on’ products when you can see them in action instead of just hearing about them. Customers love to ‘touch and feel’ the products before they buy. 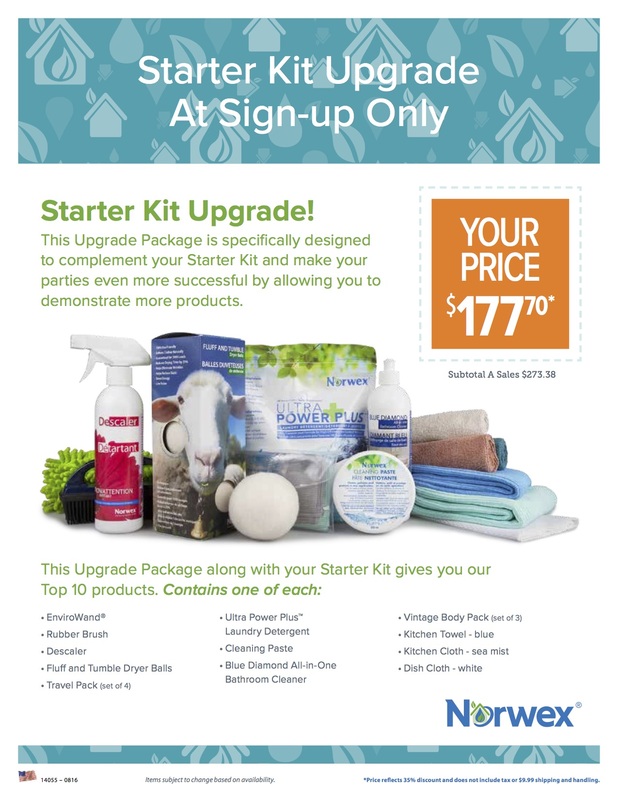 For the month of August… Norwex is offering the regular Starter Up kit complete with the choice of enhancement packages and the FreshStart program. 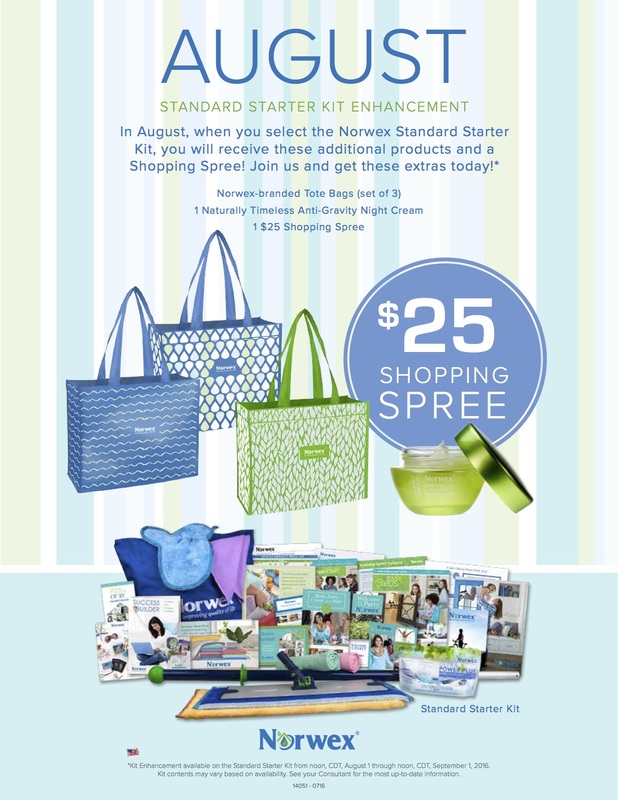 This month they are offering 2 ways to further enhance your Starter Up kit. First with a free gift of: a Set of 3 Norwex-branded Tote Bags, a Naturally Timeless Anti-Gravity Night Cream and a $25 Shopping Spree. Second, with a Starter Up Kit Upgrade that showcases the top 10 products. Plus, don’t forget that it is Free Mop Month for the Norwex Host Rewards… which means, you can also earn a free superior mop when you host your launch party!!! Please read New Consultant Sign Up in the U.S.A post for all the details on how to sign up. With all these incentives up for grabs, I encourage and welcome you to join our team, The Solution Team. We are a wonderfully successful group of consultants; willing to train, encourage and support you as you start your business. Sign Up today!! !